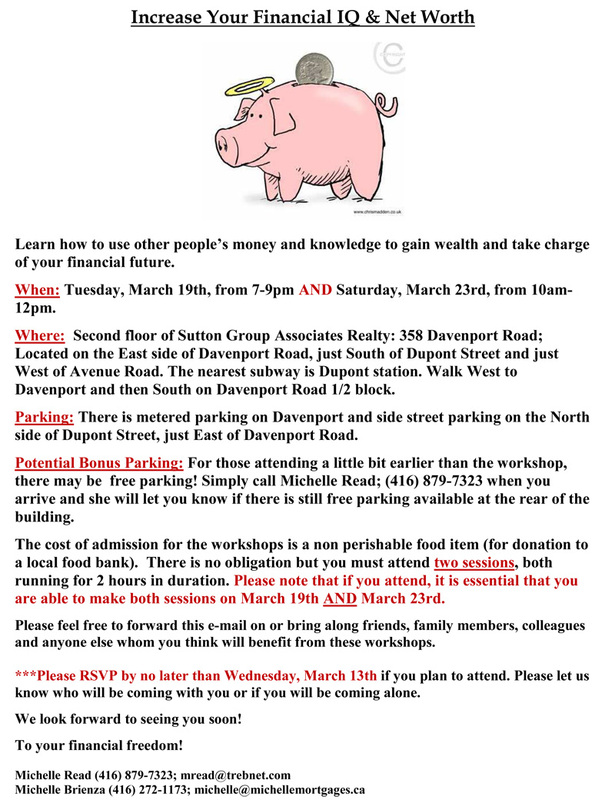 Increase Your Financial IQ and Net Worth: March 19 and 23 – "I KNOW TORONTO!" My friend and colleague Michelle Brienza is co-hosting a seminar on how to take charge of your financial future. The cost of the sessions is a non-perishable food item. Below are all the details!